Neil Diamond in Montreal or Quebec City? Inform me about the next events for Neil Diamond. Enroll yourself to our priority waiting list for Neil Diamond to be alerted when new tickets are available. Filling this form doesn't engage you to any purchase. Neil Diamond is coming to the Bell Centre on June 21st, 2012. Newly inducted in the Rock'n'Roll Hall of Fame (2011), Neil Diamond has sold over 115 million albums worldwide, almost half of them in America. 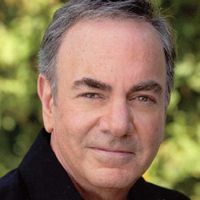 Neil Diamond is known for his numerous number one hits, including Cracklin Rosie, Yesterday's Songs, You Don't Bring Me Flowers and Song Sung Blue.